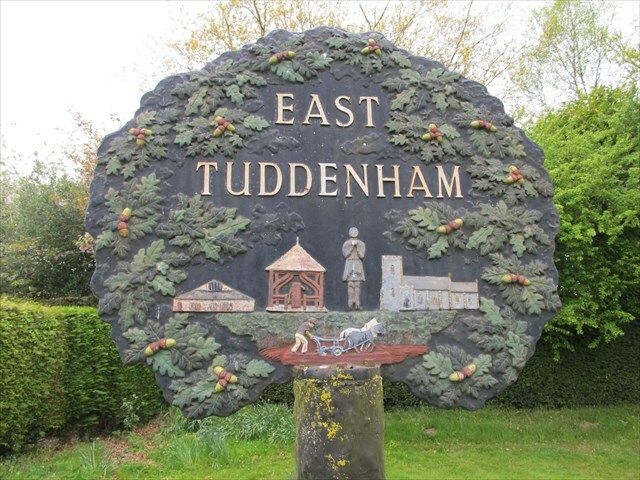 East Tuddenham, from the Old English meaning "Homestead or village of a man called Tuda," is a village in the Breckland District of Mid Norfolk. The population in the 2011 census was 517. Close by you will find the village pump which is depicted on the sign along with the church and village hall which is one of the largest in Norfolk. You are looking for a nano cache. The cache is near the village sign, but not on it.